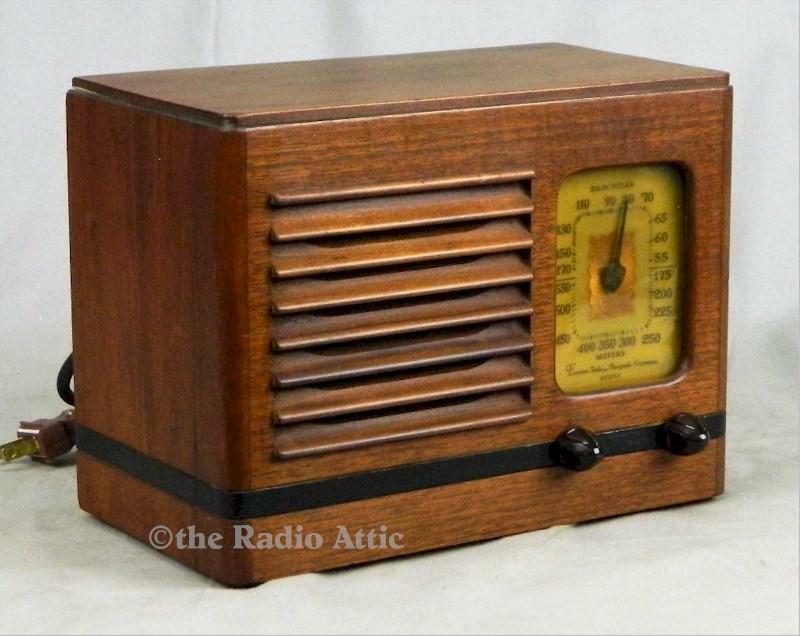 1938 Emerson Radio model BM215. Four tubes, AM reception. Case appears to have original finish and looks good. Case is solid. Receives stations along the dial. All components have been checked and replaced where bad or failing. Shipping is $20 within the continental United States. Please review all photos as they are an important part of the description. 10"W x 7-1/2"H x 5-1/2"D.